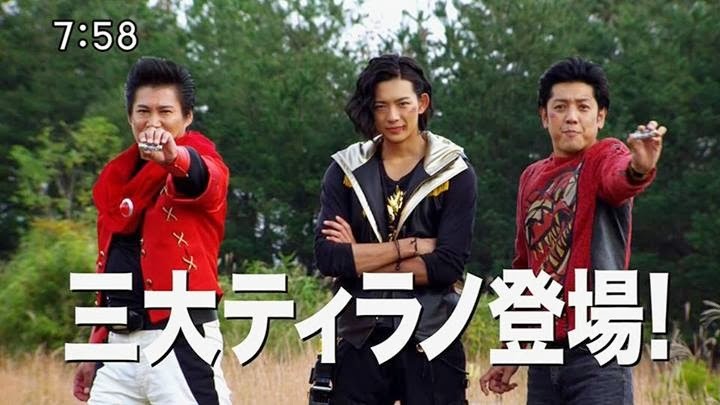 The second promo for upcoming crossover special "Kyoryuger VS Go-Busters" is now online, highlighting the return of other Dinosaur Sentai heroes from Zyuranger and Abaranger! Mean or not, I laughed at the split-second the Go-Busters were on screen. So Toei finally decided that having "VS" in the title wasn't a big enough lie. Now 2/3rd of the title is a lie. More like, Busters, Ready, No. The Go-Busters were in this? -watches three times- Oh there they are. Sweet. 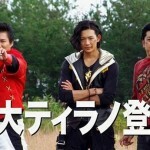 Am I the only one who doesn't give a flying crap about Go-Busters? Granted, it is pretty lame that they're supposed to be in it, but seem to hardly be there. I see it as a good thing, it's a dinosaur party, not sure what they're doing there.